New Delhi - the capital city of India is dotted with landmarks that are not to be missed. The India gate, Rashtrapati Bhawan, Quatb Minar and Humayaun's Tomb top the tip of must visit tourist spots in New Delhi. Like many important travel destinations in India, New Delhi is connected by air. Flights to New Delhi and flights from New Delhi make the fastest means of commuting. Wish to book your tickets for flights to New Delhi? We as a leading travel agent for New Delhi offer travel services to make your travel to New Delhi comfortable. Just let us know your detailed requirements and we will offer you the best deal on the flights to Delhi. 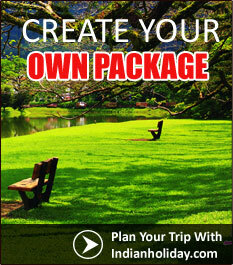 As per your budget you may opt for cheap flights to Delhi. Arrangements can also be made for charter flights to New Delhi. For any travel destination from Delhi we can book flight tickets.